Kumarakom Houseboat Holidays is one of the leading and fastest growing houseboat services and tour operators in Kerala. We are operating the boat house tour in both Kumarakom and Alleppey.Our aim and our work to explore the natural beauty of Kerala backwaters. 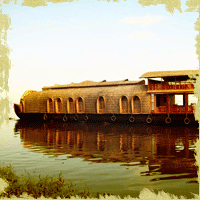 Kumarakom Houseboat Holidays invite you to explore everything Kerala has to offer. From experiencing our breathtaking landscapes to connecting with our culture, history and our people,memorable moments await in every corner of this magnificent province. Every traveller is unique.So We offer you the opportunity to make the best of each and every moment of your valuable and romantic time with each other in total privacy at the spectacular backwaters of Kumarakom & Alleppey. We are also able to hold boutique weddings,cultural programs and small conferences. Kumarakom Houseboat Holidays organize package tours in Kerala with reputed hotels,resorts and experienced staff who are dedicated and have practical knowledge. All our houseboats are well equipped with security equipments and highly hygienic atmosphere. 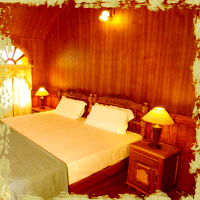 We offer plush accommodation in luxurious houseboats with exclusive room overlooking a man made lagoon. 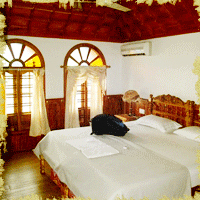 Kumarakom Houseboat Holidays have offices in Bangalore and Maldives as well.